What are self driving cars(or Autonomous Vehicles)? According to Wikipedia, autonomous vehicles (also known as a driverless car, self-driving car, robotic car, auto) and unmanned ground vehicle is a vehicle that is capable of sensing its environment and navigating without human input. Self-driving car law is a new and hot topic in personal injury law. There are not many statutes and case law on the subject. Some states have enacted autonomous cars laws and/or executive orders. Most of these state laws just allow for autonomous vehicle testing and enabling committees tasks with working with state agencies in preparing for these vehicles to hit the road in future. You can read more about current autonomous vehicle state laws here. So you are driving on the highway and you get hit by a self driving test Uber! Who’s at fault? My initial legal theory is that until self-driving car law is fully developed, victims of self-driving cars will have a potential claim against the human driver of the vehicle, car manufacturer, and maybe even the car maintenance company who updates and repairs the vehicle self-driving features. This will mean increase in the amount of recovery because victims will be able to go past the policy limits of standard car insurance coverage. Sort of like when current victims are injured in cars with manufacture defects. Suing the driver will be obvious. Through a negligence theory, the driver may be liability for not properly operating their vehicle in the same or similar circumstances are as a reasonable prudent person operating an autonomous vehicle. Up until self-driving car this has been the standard way injured victims recover for their damages after a car accident. I won’t go too deep here. According to an article written by Attorney Christopher B. Dolan, “Several states, including California and Nevada, have determined that the AV “operator” is liable for any injury or damage caused by the vehicle. The “operator” is the person who is either behind the controls available for manual use, or, in the absence of manual ­controls, the one who “causes the technology to engage. “However, I can imagine that most driver’s first defense in future car lawsuits will try to place blame completely on the car manufacture’s defect. The self-driving feature of a car would be treated as a vehicle defect (Most likely a Design Defect). This claims would fall under strict product liability and treated as if you were injured from a defective product from a store. This will take the claim past just the negligence of the driver or operator. As seen in the recent Arizona accident, the law may allow for claims and lawsuits to be brought against the manufactures of the car. 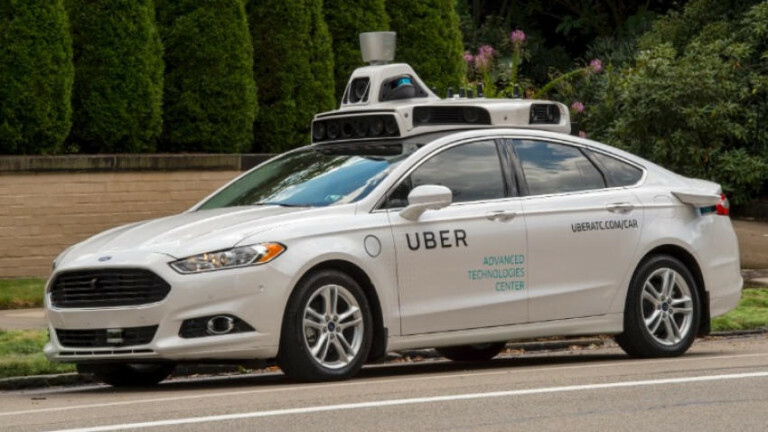 ­Christopher B. Dolan’s article also states that, “Currently, California, Nevada, and Florida mandate that an AV ­manufacturer or developer carry $5 ­million in liability insurance.” You can see how some states are already making sure that manufactures are prepared for any potential damages their self-driving vehicles cost. You can bet that lobbyist are already in Washington trying to push this bill. I’m not real big into politics, but I wouldn’t be surprised if a law like this passes. Especially in Mississippi with tort reform already in place. At worst, you probably can expect that a law passes in the near future to at minimum place a statutory limit on the amount of money can receive from wining a self-driving law claim. No one truly knows how the law will adapt to autonomous vehicles and who will be at fault in these accidents in the future. This area of law is still in its infant stages. My legal theories in this blog are just that “theories.” My hope is that in the future, self-driving cars in the end will make roads safer. We will not have worry about drunk drivers and people driving and texting. Human error will be a lesser part of the equation when it comes to car accidents. However, until autonomous vehicles start to become the standard on the streets, time will only tell how things will play out. My plan is to be on top of this developing law, so that I’ll be able to help my future clients. At Hopson Law Group we represent clients who are having a tough time dealing with insurance companies. You can reach us at 662-624-4100 to set up an appointment for a free consultation!